LIQVD ASIA, a digital super-charged marketing communications agency, has appointed Dinesh Swamy as its Chief Creative Officer for the India market. Swamy’s last stint was with Sapient Razorfish , where he spent a little over 2 years with the agency. Swamy has been in the industry for over 17 years and has embraced the organic nature of interactive creativity. He has previously worked on strategic innovations and integrated solutions across CRM, social media and online integrated campaigns for clients such as Idea Cellular, MTV, Reliance Mobile, LIC, Volkswagen, Parle, Renault, Hero MotoCorp and Visa, among others. He brings with him a strong digital orientation with experience across agencies such as Flip Media Corp, Tribal DDB India, Digital Law & Kenneth and BBDO Proximity prior to joining Razor Fish. Swamy’s ever growing portfolio spans strong strategic innovations and served Clients like Idea Cellular, MTV, Reliance Mobile, Volkswagen, Renault, Hero MotoCorp, Visa, Tourism Australia, UltraTech Cement, Sanctum, Jeep & amongst others. Because of his excellent contribution towards the digital creative fraternity he has also been invited to judge Adfest Asia Awards, Goafest, Media Apac, New York Festivals and Tambuli. Some of the successful campaigns that have bloomed under the leadership of Swamy are MTV Roadies, Idea Cellular – Use Mobile and Save Paper, Reliance Mobile – Go for it, Hero Motocorp – Hum Mein Hai Hero & Visa. Recently with SapientRazorfish he also managed campaigns such as UltraTech – Colours of grey, Bengal Warriors Community & Jeep Compass digital assets to name some. 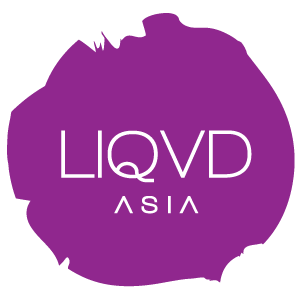 As Asia’s first experiential marketing entity, LIQVD ASIA started operations in 2013. It’s clients include LivingFoodz, GMAC, Axis Bank, Benetton, IndiaBulls Housing Finance Ltd, Sennheiser, Legrand, Glanbia plc and Adidas Originals. In 2014, Concept Communication had bought over the majority stake in the company. Currently LA is operating from their offices in Mumbai, Gurgaon & Singapore.